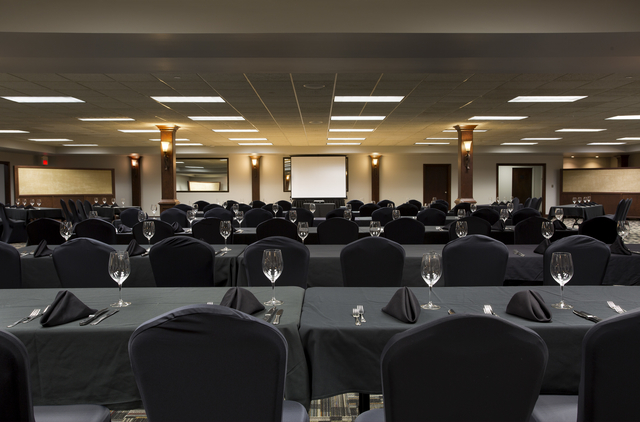 Whatever your occasion, Hereford House makes it one to remember! When you pull onto Terradyne Drive, you will probably be under the assumption that you may be lost! But don't turn around, you are definitely in the right place! The Hereford House is tucked away inside of Terradyne Country Club. 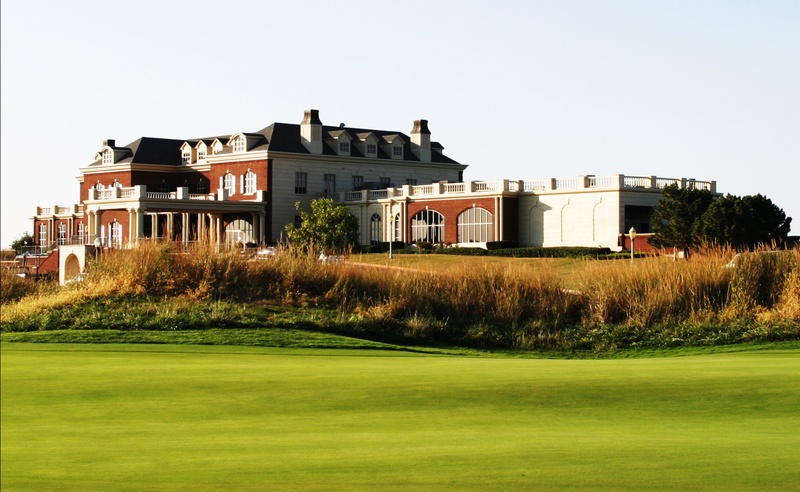 The building is lush with dark wood, fireplaces and breath taking views of the Scottish Links golf course. I must say there's not a bad seat in the house! Hereford House is unlike other establishments that you may find in the city for many reasons. For starters, we proudly serve Sterling Silver Beef from Cargill. Our Chefs will hand select and cut your steak to order. 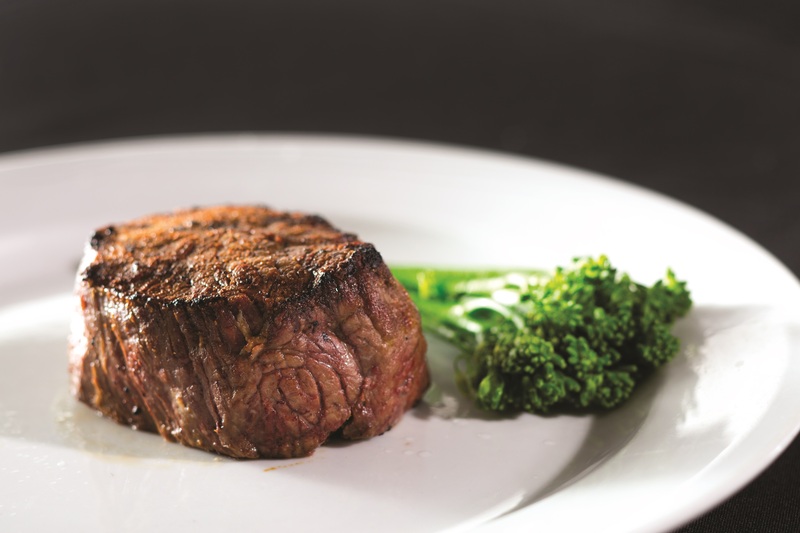 After you have chosen your favorite cut of beef, the chef's place it on our double sided broiler that cooks 1200 degrees. It creates a nice sear on the steak to lock in all the flavor and juices that Sterling Silver beef is known for. 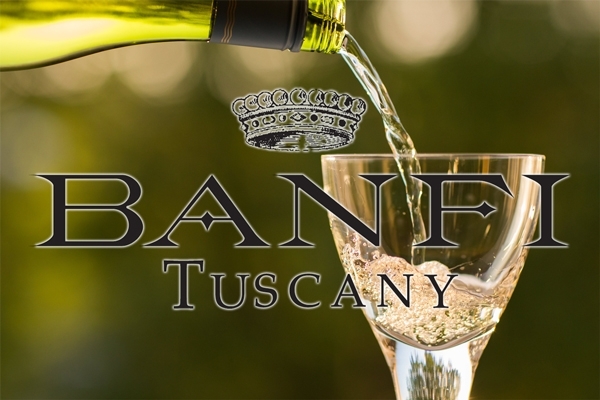 Nothing pairs better with a Sterling Silver Steak than a glass of wine from your favorite vineyard. Wine service at the Hereford House is like non other in the Midwest. 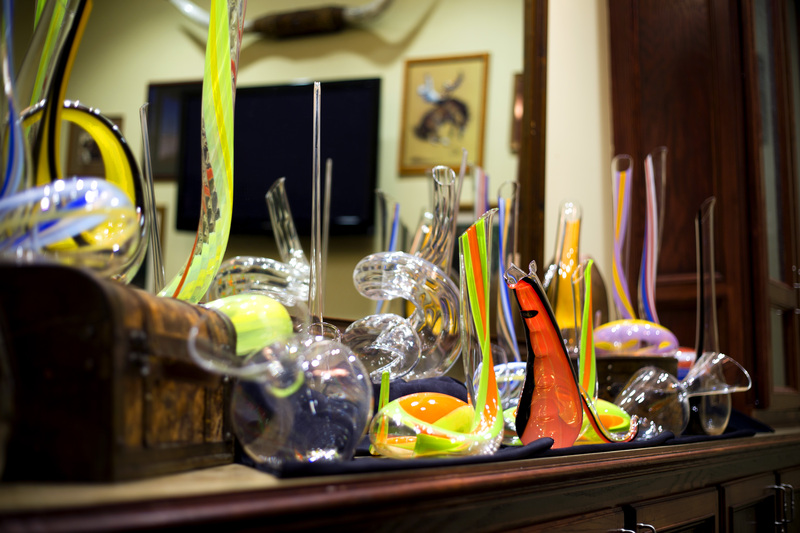 We believe in decanting all wines, red or white, sparkling or still. Drinking wine from a varietal specific glass is truly the only way to go. 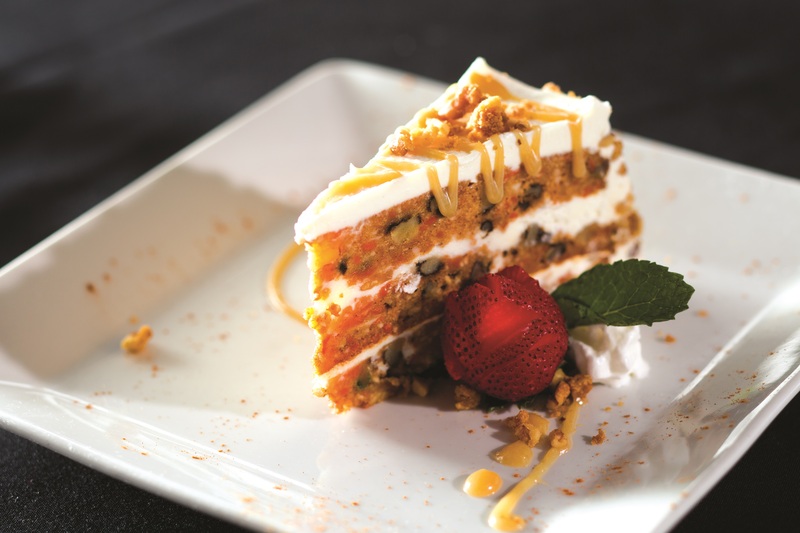 Let's not forget about our decadent desserts! From the made from scratch carrot cake tour White Chocolate Bread Pudding, there is always something that is sure to please your palate. But don't forget about Port wines, Cognacs and espresso's are another way to cap off a wonderful meal as well. We always accept reservations whether it's a special night for just the two of you or a group heading out for Sunday Brunch. Please do not hesitate to give us a call. We look forward to seeing you soon! Call 733-7800 to reserve your seat. Reservations are Required! 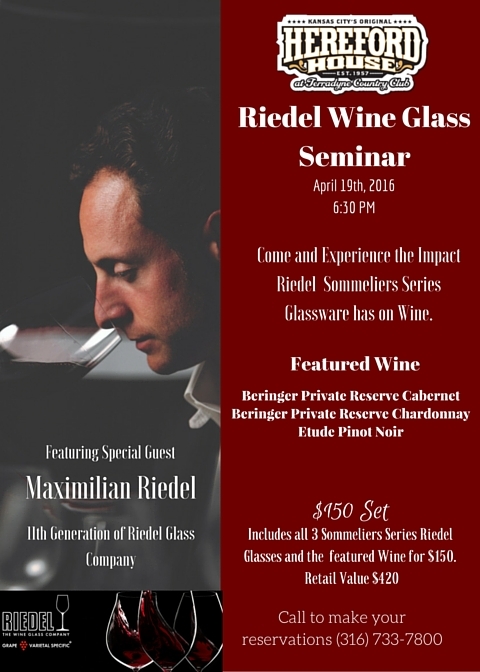 Please join and experience the impact Riedel Glassware has on Wine. Call to make your reservations today (316) 733-7800. 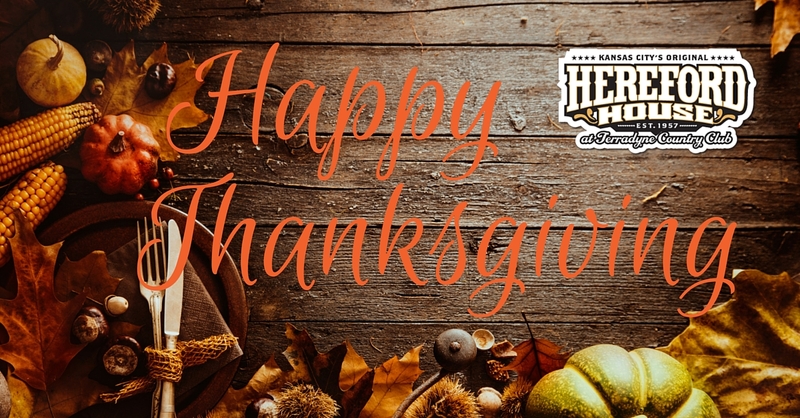 Thanksgiving is fast approaching, don't get stuck cooking all day, Come to the Hereford House where we will do all the cooking for you! Hereford House A Midwest Tradition, is proud to announce our Thanksgiving Day Brunch Buffet. Sterling Silver Prime Rib, Honey Glazed Pit Ham, Omelet and Waffle Station, Traditional Breakfast Bounty, Turkey with Cornbread and Chorizo Stuffing, Giblet Gravy, Mashed Potatoes, Green Beans Casserole, Blackened Tilapia with Hungarian Paprika Sauce, Mac-n-Cheese, Cranberry Dressing, Broccoli Salad, Cottage Cheese and Pineapple, Banana Cake, Lemon Bars, Pumpkin Pie, Assorted Desserts, Domestic Cheeses, Fresh Fruit Platter, Assorted Salads. 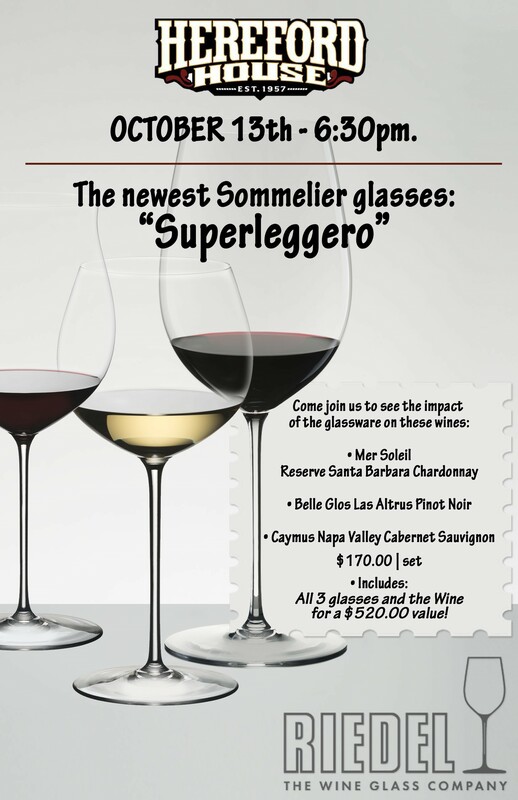 Join Us for the New Sommelier Series Riedel Glassware Wine Tasting on October 13th. Seating is limited so call today to make reservations (316)733-7800.
Who needs another tie? 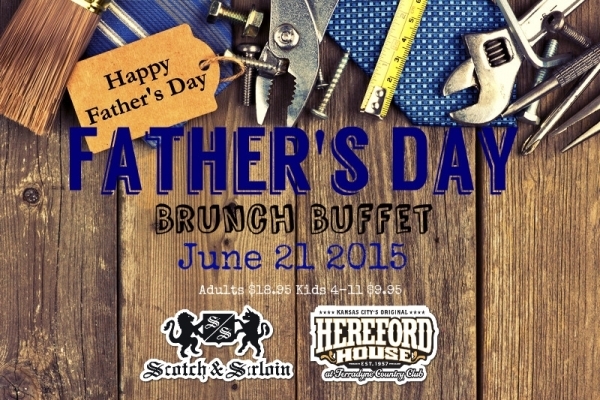 Treat Dad to Brunch Buffet at the Hereford House and show him that he is your number one! Celebrate Dad like the King he is! 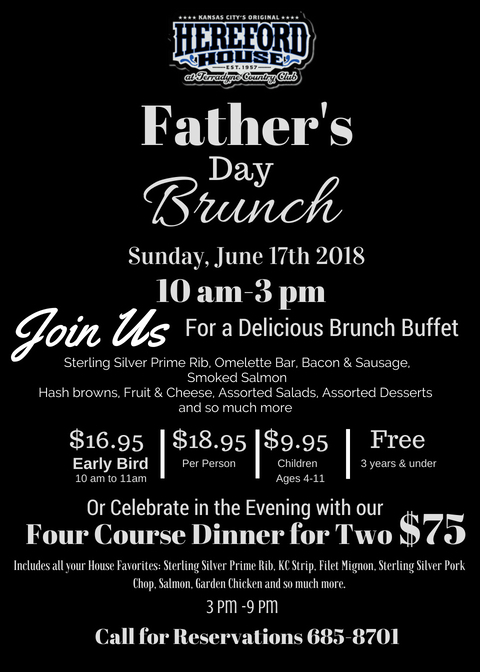 Join us on Father's Day where the family can enjoy our famous Brunch Buffet at either the Hereford House or Scotch & Sirloin from 10am to 3pm. 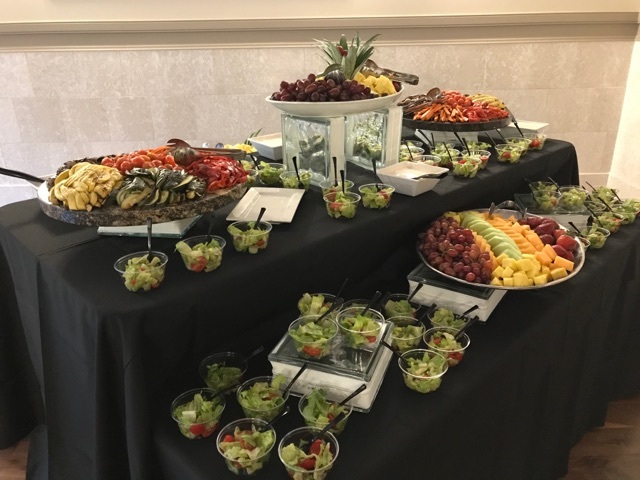 The Brunch Buffet is $18.95 for adults and children 11 and under are $9.95.Time Slots are filling up quickly , so make your reservations Today! 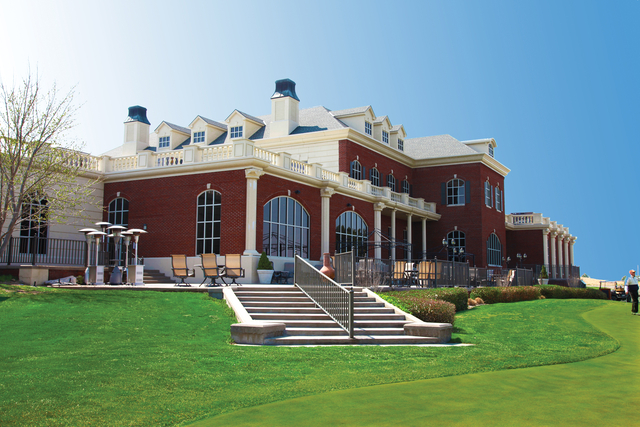 To make your Father's Day Reservations today at The Hereford House call (316) 733-7800, for Scotch & Sirloin call (316) 685-8701.